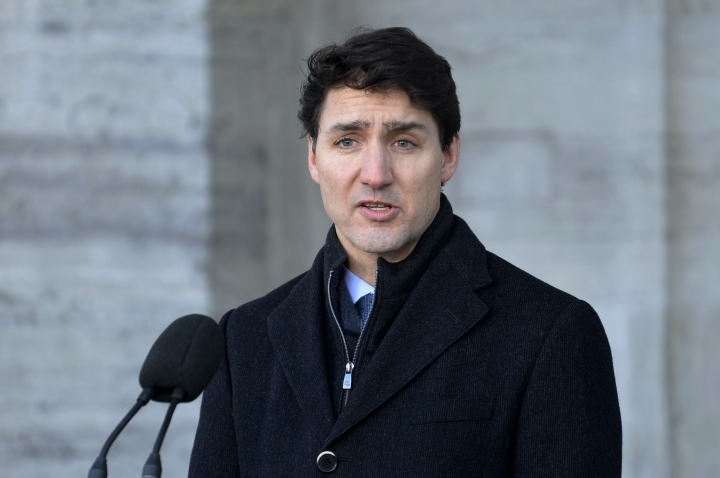 The move comes after Prime Minister Justin Trudeau expressed extreme concern over a court in China imposing the death penalty on a Canadian. A Chinese court announced Monday that it had given Robert Lloyd Schellenberg of Canada the death penalty on drug charges. The Chinese press began publicizing Schellenberg's case after Canada detained the chief financial officer of the Chinese telecommunications giant Huawei on Dec. 1 at the request of the United States. The U.S. wants Meng Wanzhou extradited to face charges that she committed fraud by misleading banks about the company's business dealings in Iran. Since then, China has arrested two Canadians in apparent retaliation for Meng's arrest. It detained former diplomat Michael Kovrig and businessman Michael Spavor on suspicion of endangering China's national security. Canada has called the arrests arbitrary and demanded the men's immediate release. The comments are Trudeau's strongest yet against China. The prime minister says he is "extremely concerned as should all countries around the world" that China is choosing to act arbitrarily with its justice system and with its choice not to respect longstanding practices regarding diplomatic immunity. A Chinese court announced Monday that it had given Canadian Robert Lloyd Schellenberg the death penalty on drug charges. The Chinese press began publicizing Schellenberg's case in December after Canada detained Meng Wanzhou, chief financial officer of the Chinese telecommunications giant Huawei, on Dec. 1 at the request of the United States. Since then, China has arrested two Canadians in apparent retaliation for Meng's arrest. It arrested both Michael Kovrig, a former diplomat, and Michael Spavor, a businessman, on suspicion of endangering national security. A former Canadian ambassador to China, Guy Saint-Jacques, believes the Chinese likely interrogated Kovrig about his time as a diplomat in China and that would break the Vienna convention on diplomatic relations. He says there is a notion of residual diplomatic immunity that means a country is not allowed to question someone on the work they did when they were a diplomat. The court in northeastern Liaoning province announced that it had given Robert Lloyd Schellenberg the death penalty after rejecting his plea of innocence and convicting him of being an accessory to drug smuggling. It gave no indication that the penalty could be commuted, but Schellenberg's fate is likely to be drawn into diplomatic negotiations over China's demand for the top executive's release.